The Tecno F6 is the second phone from Tecno to come with Android 4.4 (KitKat) out of the box. F6 features a 4.7-inch IPS display and an 8 megapixels camera. This smartphone sports a 5 megapixels camera in front for great selfies. Tecno F6 runs Android 4.4 on a 1.3GHz quad-core processor with 1GB of RAM. It has a 4.7-inch IPS display with 720 x 1280 pixels resolution. Tecno F6 is a dual-SIM but requires two types of SIMs. While SIM 1 supports Mini SIM (standard SIM), SIM 2 requires the smaller Micro SIM. It comes with 16GB built-in storage and supports up to 32GB microSD card. 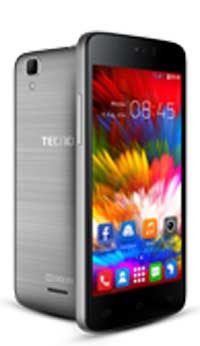 Where to buy Tecno F6 in Nigeria. You can buy at leading retail outlets in Nigeria. Tecno F6 Price in Nigeria ranges from N28,000 to N35,000 depending on your location in the country.